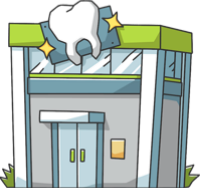 These are the most common insurances accepted by Dentists in Knoxville, TN. Super awesome dentist! Always have a great experience!!:). Very knowledgeable, very informative, very patient, and methodical with his approach. I would definitely refer him to my family and friends if they were looking for a dentist..
Dr Sisk is the most amazing dentist that I have ever had the pleasure of dealing with. He is patient and kind and very skilled. My teeth were horrible and he fixed them all in one day. And his staff is definitely top of the line. I highly recommend this dentist to anyone with any dental needs..
Dr Erpenbach and staff are just the best always! Very kind, gentle and professional. I've been a patient since the early 80s and it's always great..
We LOVE Dr Erpenbach! He is so kind, patient, and great with kids. He takes his time at each appt and just does a wonderful job. So thankful we found him! And I love his staff, they are so nice always put a smile on my face.. I move to Knoxville 10 years ago. Dr. Erpinbach has kept all my teeth in my mouth! Him and his staff are VERY professional and personal. They make dental visits as stress and anxiety free as possible. If you're looking for a dentist in Knoxville, look no further! Dr. Erpinbach is your man!.